Theresa and Dave are two of the sweetest people you could ever meet. 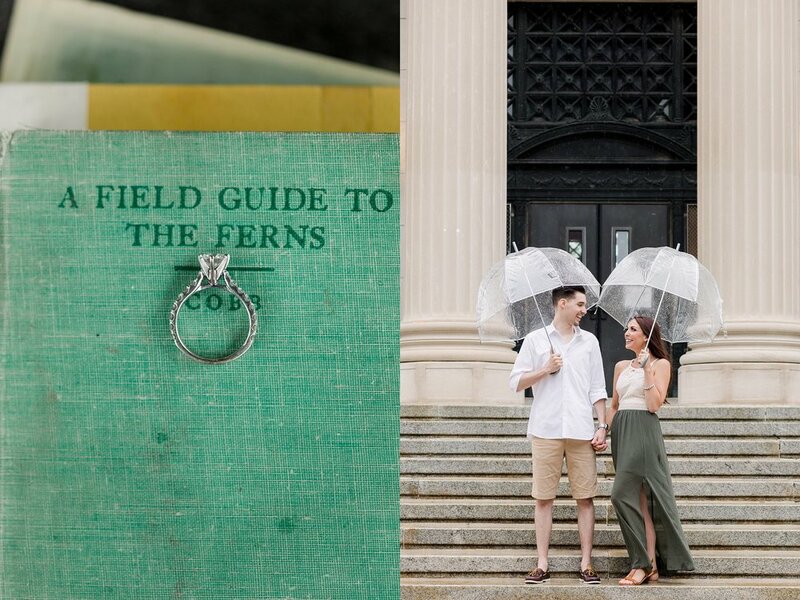 I knew the moment I met them and their sweet Goldendoodle puppy, Cruz, that were going to have an amazing engagement session despite the pouring rain! Dave and Theresa are planning a New Jersey wedding this summer, so it was only fitting that I make the trip to my home state to meet them for their engagement session. 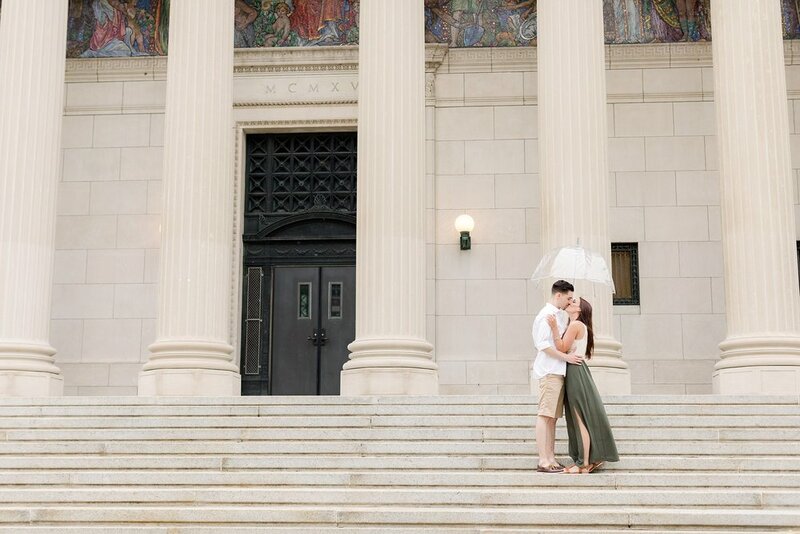 The historic feel and incredible architecture of the public library was the perfect backdrop for their South Jersey engagement session. I knew it would photograph beautifully! I am so glad they trusted me because the end result is incredible! 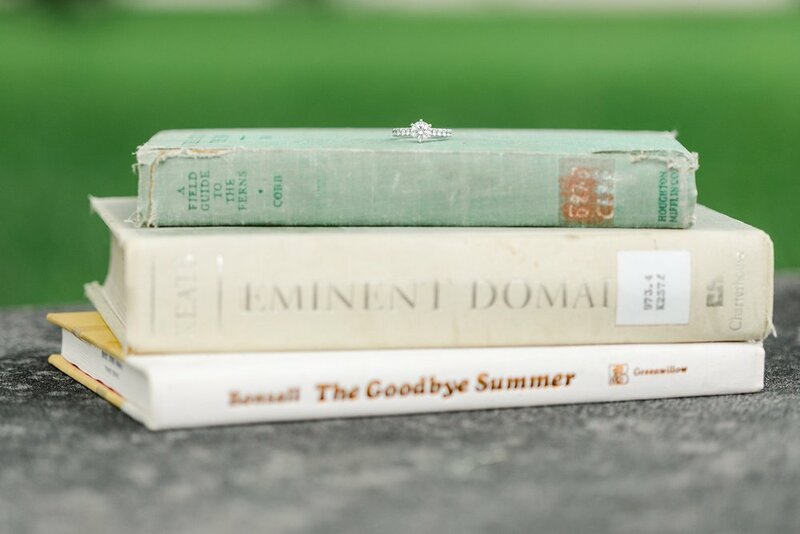 I cannot wait to photograph their South Jersey wedding at Clark's Landing Yacht Club this summer! Enjoy some of my favorites of Theresa, Dave and little Cruz! 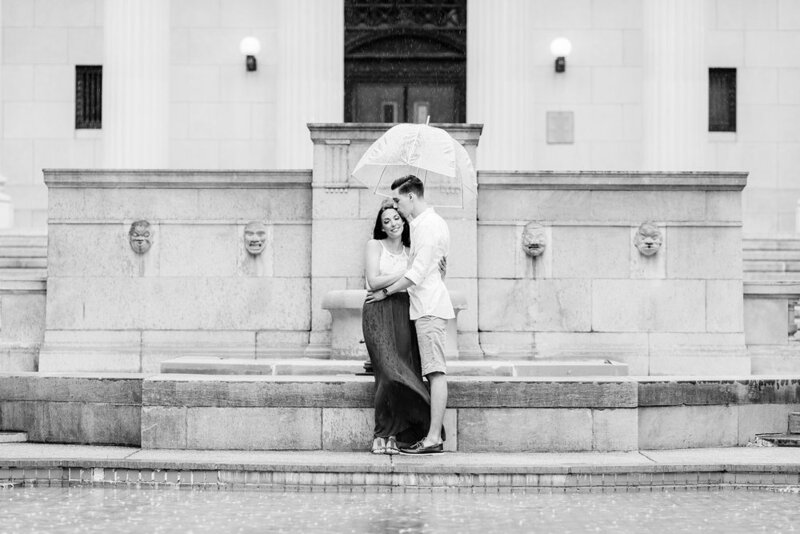 Hope & Stay Photography LOVES Philadelphia weddings and engagements! 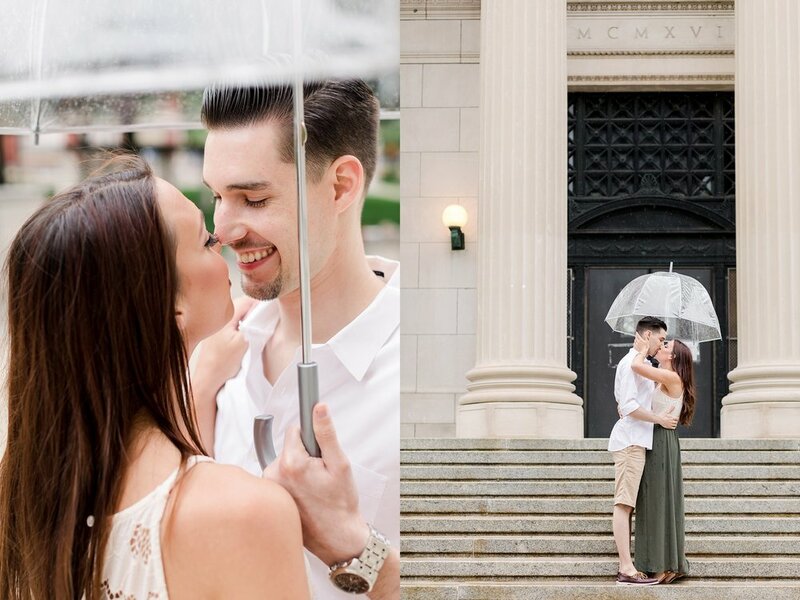 To book your South Jersey or Philadelphia engagement session or wedding, contact Alyssa here!